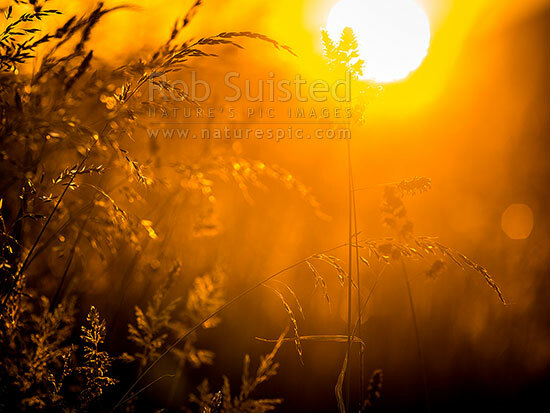 Grass silhouetted against golden sunset on farmland. Ready for hay making in the heat of summer. Mixed species including Cocksfoot grass (Dactylis glomerata), New Zealand (NZ), stock photo.